Naomi House & Jacksplace is putting out one final call for early bird Clarendon Way Walkers. The last few discounted tickets are available for the charity walk until midnight on Sunday 7th April, at £18 for adults and £12 for children. Over 400 people have committed to take part in the Clarendon Way Walk so far. The 26-mile sponsored walk takes place on Sunday 2nd June, starting at Winchester Cathedral and ending at Salisbury Cathedral. Participants will enjoy local hidden gems, including the Water Meadows, Farley Mount Country Park, the quaint village of King’s Somborne and the rolling meadows of Winterslow. Walkers can take a well-earned break in the village of Broughton, which marks the half-way point, before tackling the second half of the walk towards the finish line. A 12 mile walk is available for those who want a less daunting challenge, which begins in Broughton and ends in Salisbury. We’re delighted that so many people have signed up for the Clarendon Way Walk and we’re hopeful that this year’s event will be the biggest yet. The walk is known for its participants’ jolly camaraderie, brilliant organisation and stunning views. As challenges go, this one is sure to satisfy even the most intrepid of adventurer’s appetite. Sign up before Sunday 7th to bag bargain entry – saving a whopping £6 per person. 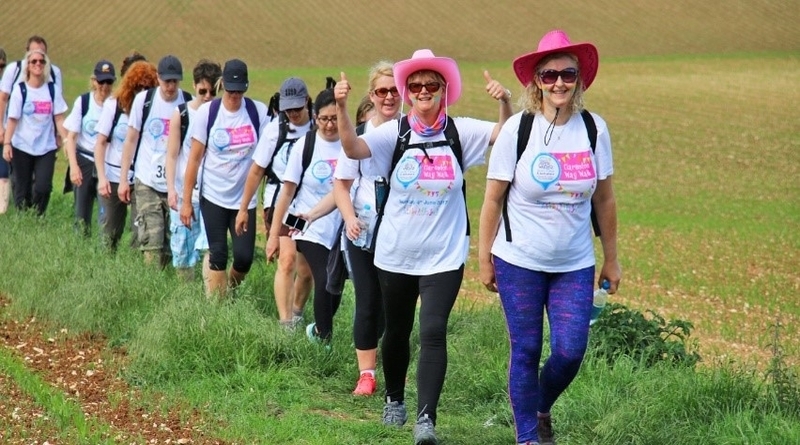 The fundraising target for this year’s walk is £100,000, which will go towards the charity’s running costs in supporting local life limited and life threatened children, young adults and their families. This would be enough to cover two years of vital nursing care at Naomi House & Jacksplace. The trail takes its name from the ruins of Clarendon Palace, which are situated near the western end of the walk, just above Salisbury. The ruins of the once-expansive palace are insubstantial, but the views over Salisbury are superb and a welcome sight for weary walkers as they come to the end of their fundraising challenge.